This reference resource represents the consensus opinion a team of international specialists on the diagnosis and treatment of infective endocarditis (IE), many of whom have been co-authors of American or European guidelines on the topic. It is therefore a useful tool for many practitioners: cardiologists and cardiac imagers, cardiac surgeons, echocardiographers, specialists of internal medicine, neurologists, and infectiologists. 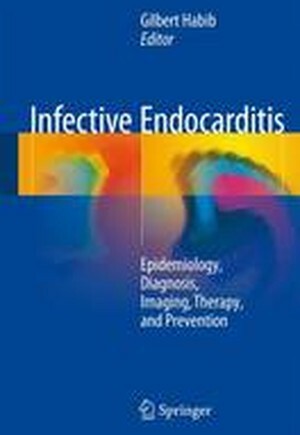 Infective endocarditis (IE) is defined as an infection of the endocardial surface of the heart, which may include one or more heart valves, the mural endocardium, or a septal defect. Its intracardiac effects include severe valvular insufficiency, which may lead to intractable congestive heart failure and myocardial abscesses. If left untreated, IE is generally fatal. IE is a changing disease with new diagnostic techniques, new therapeutic strategies, more frequent elderly people and patients with prosthetic valves of intravenous drug users. Definition - Epidemiology.- Physiopathology.- Diagnosis.- Prognostic Assessment.- Complications .- Specific Situations.- Treatment.- Guidelines: When To Operate.- Prevention And Prophylaxis.- Conclusion And Future Directions .